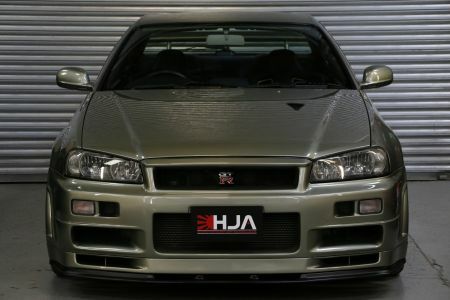 HJA are extremely delighted to offer you one of the most iconic Japanese sports production cars ever made, the Legendary R34 GT-R V-Spec II NUR in arguably one of the most sort after colours Millenium Jade. 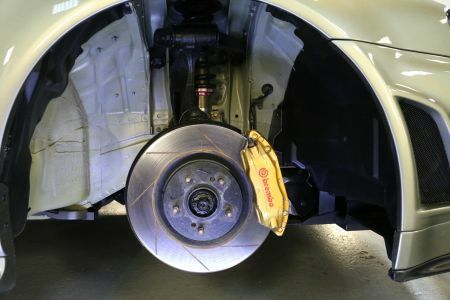 Having sold many R34’s, it is very difficult to pin point the cars that we would most like to keep, but it goes without saying that this is one of those. 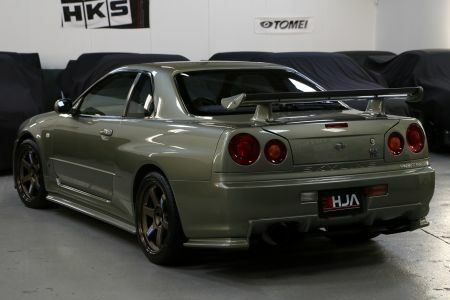 A rare opportunity to own 1 of only 156 R34 GT-R V-Spec II Nurs ever made in Millenium Jade. 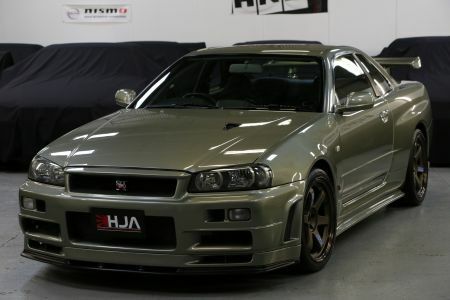 The huge worldwide demand for R34s have seen buying frenzy’s in Japan, to give you an example a low mileage R34 GTR V-spec II Nur just recently sold for over £120,000 before any shipping or Taxes! 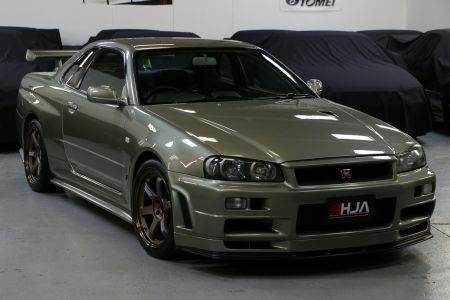 Another example would be an R34 GT-R Z-Tune has recently been put up for £420,000 which really goes to show how highly collectable the R34 GTR model has become. 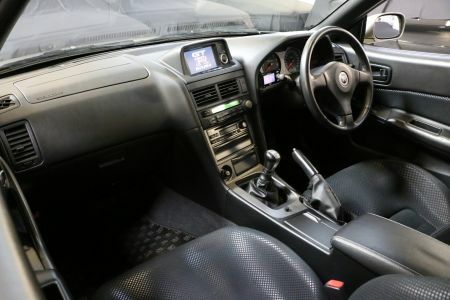 With the way the prices are going we believe this would be a highly lucrative investment if you were to hang onto the car for a few years, to give you an idea some R34s have increased in value up to 40-60% in the space of 18months. 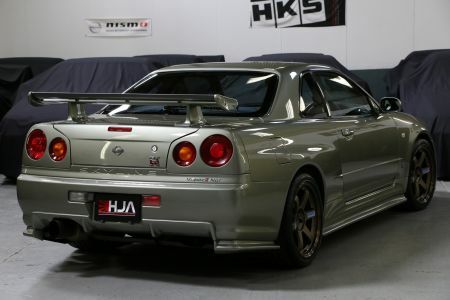 In February 2002 Nissan released a final production model of the R34 GT-R called the Skyline GT-R V-spec II Nur and the Skyline GT-R M-spec Nür. The Nür was named after the famous German Nürburgring racetrack, where the Skyline was developed. 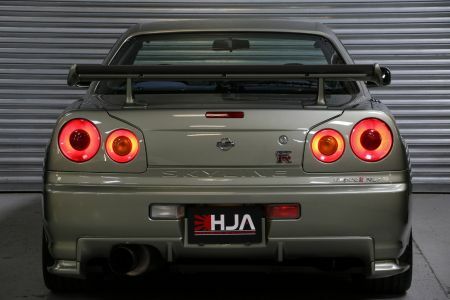 In total 1000 R34 GT-R Nür(s) were made, 718 were V-spec II Nürs' and 250 were M-Spec Nürs'. The Nür model featured an improved RB26DETT based on the N1 racing engine. 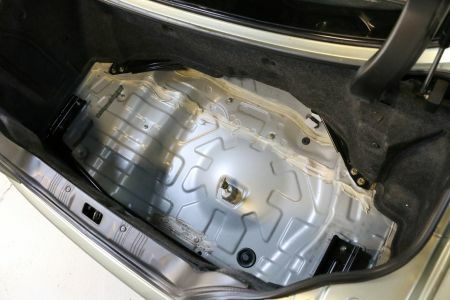 Other than the addition of the Nür engine, the Nür models also included a different colour of stitching on the interior trim, as well as a speedometer reading up to 300 km/h (186 mph), and gold valve covers instead of red. It also comes with a gold chassis plaque instead of the standard blue. It’s in absolute gorgeous condition throughout; the paint work has a reflective gloss and just looks lush in low or bright light. 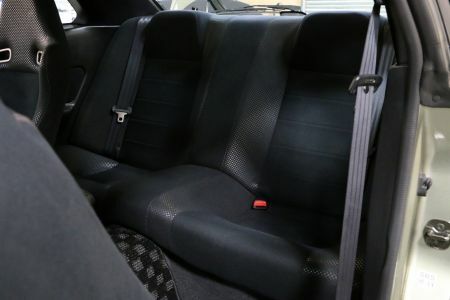 The Interior is in outstanding original condition throughout, the seats are almost like new. All the plastic trims/dials looked hardly used. 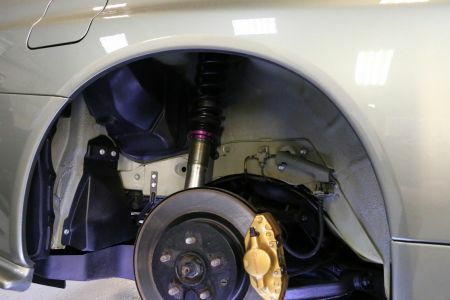 On the test drive you can really notice the difference the NUR engine mated with the HKS turbos make over the stock RB26 setup. Acceleration is relentless! And keeps you pinned to the seat till you let of leaving you grinning from ear to ear. Oil pressure is healthy 6 bar+ cold start and 2.5bar hot idle. 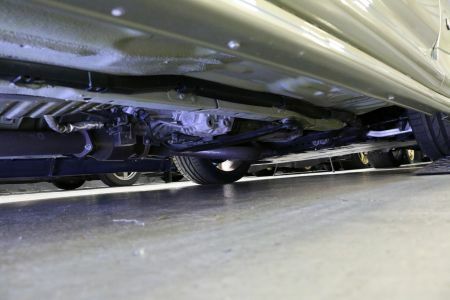 The car starts and idles effortlessly and the clutch and gearbox are very easy to use. Sourcing low km rare examples like this is like finding a needle in a hay stack. Overall if you are after a truly cherished example to enjoy yourself, to be part of a collection or as an investment look no further. 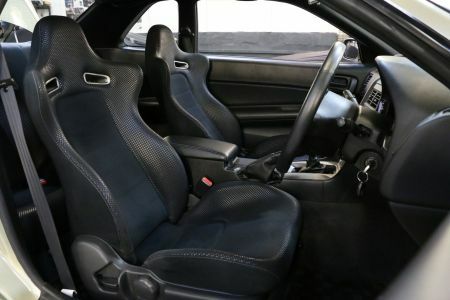 Will come with a full independent check over by Skyline tuning specialist RK Tuning prior to sale.